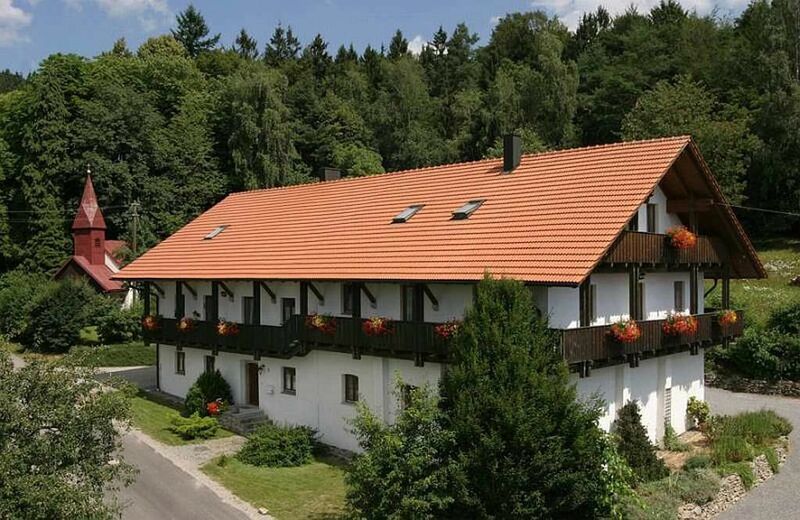 Our house is a beautiful, large, old, Bavarian farm house, which now serves as a holiday home of the highest standard, after extensive renovations. It offers a unique and most pleasant atmosphere. The 3 holiday apartments are spaciously designed. Our house is located at 560 meters in a unique sunny and isolated spot with a magnificent panorama view and a fog-free climate in the midst of nature. Ski: Our house is situated at an altitude of 560 m and is 2 km from the cross-country center of Grandsberg (1000m), home of the German and Bavarian championships. 40 km of prepared trails for beginners and experts. Downhill skiing in the nearby St. Englmar (12 km), ski schools, guided winter hikes. Ideal snow conditions from December until March.